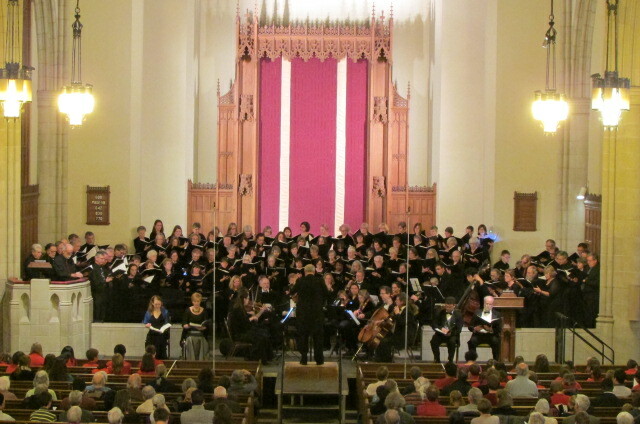 The Hampshire Choral Society and director Allan Taylor leads the chorus, soloists, and orchestra in a concert in Abbey Chapel at Mt. Holyoke College. Photo by Julie LeGrand. Our next concert will be presented at the Fine Arts Center, on the campus of UMass, at 3:00pm on May 19th, 2019. The program will feature The Creation by Franz Joseph Haydn, with soloists and full orchestra. 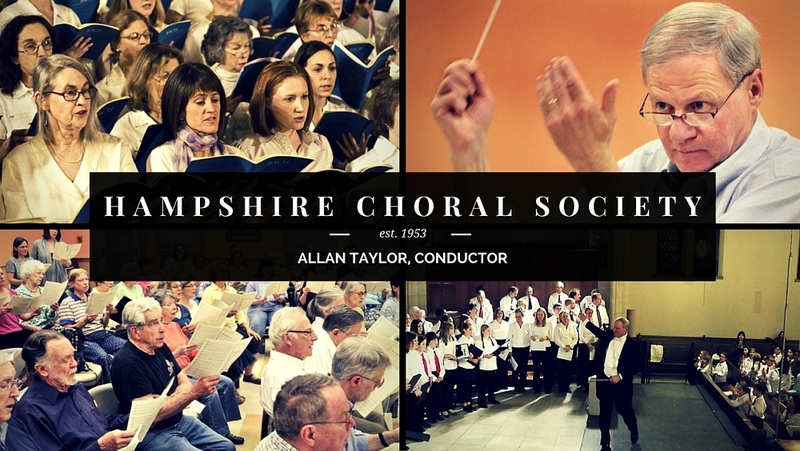 The Hampshire Choral Society is a community chorus based in Northampton, directed by Allan Taylor. Our singers come from throughout the Western Mass. and Connecticut areas, with a wide variety of musical backgrounds. We rehearse on Tuesday evenings at the Northampton Senior Center. If you would like information about singing with the Hampshire Choral Society, please contact us at the email address below.